Built by Lynx Engineering Sydney Australia to a design by Ron Tauranac before going to UK to work for Jack Brabham. Built as a rear engine drum braked FJ but known as a “Slimline” due to it’s sleek low stance it was powered by 997 Ford 105E engine supercharged so did not run originally as a FJ. Comprehensive history to date. Rebuilt and run as a full FJ with a 1060 cc Ford engine in both Australia and NZ. Comprehensive refurbishment (suspension, new seat covering, new oil pressure gauge and revcounter, quick release steering wheel coupling and new seat belts) being completed. Engine rebuilt with a new Richardson head, dyno time only. Original head included. Tyres yet to complete a race. Brake drum linings renewed, new steel hoses. Has VW gearbox. Bodywork in good condition. Britich racing green, one of the earliest cars built and raced as a factory works car for Elva. 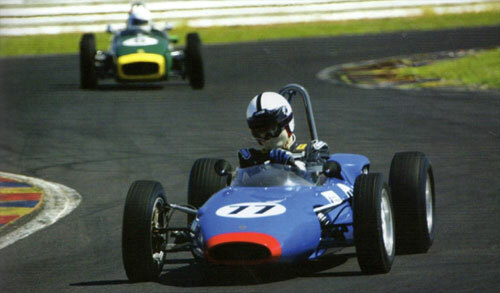 Drivers were Chris Threlfell or Peter Arundell. Comes complete with fitted waterproof cover and warranted trailer, race ready, spare engine, lots of spare parts including diff heads. The car runs Elfin brake drums and magnesium “Elva” wheels, excellent rubber. 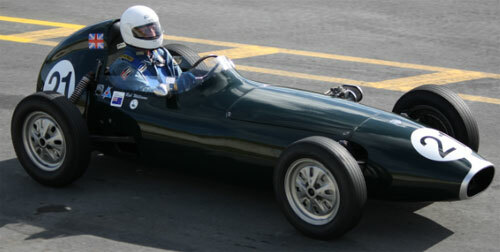 Has English FIA papers, COD and registered with the Vintage Car Club of NZ. The car is running sweet with no problems. Price $75,000 for car alone or $80,000 for car, trailer and spares and nose cone mould.